Are you looking for an easy way to open and view Microsoft Outlook Express messages? 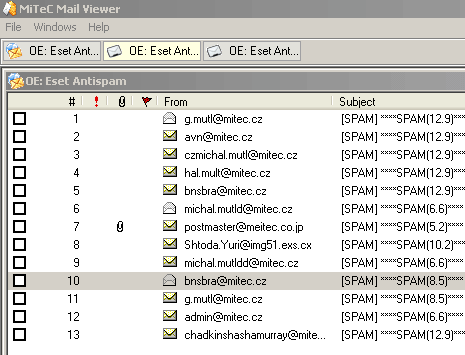 MiTeC Mail Viewer is a free standalone program to browse and read messages of (.idx .mbx .dbx) mail folder. You can also view EML files and message database of Windows Vista Mail / Windows Live Mail and Mozilla Thunderbird. 1. Allows you to view the messages in text or HTML form. 2. Sort messages & export them to standard .EML files. 3. View email attachments with option to save them. 4. Allows extraction of attachments from specific messages. 5. Support HTML preview mode with printing functionality. 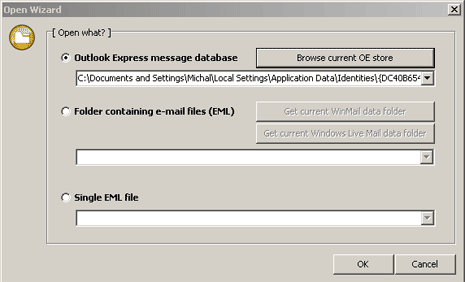 It supports opening of Microsoft Outlook Express 4,5 and 6 message database (*.idx/*.mbx/*.dbx) or any single EML file. Download MiTeC Mail Viewer to open and view email files with ease. Yahoo Gets New Radical Look, Check Gmail on Yahoo ! Slow opening large MB files or ends up “not responding”. Smaller KB files are OK.